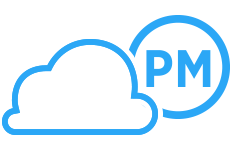 Our cloud based project management software keeps marketing teams organized and on schedule. Your project leader can quickly delegate tasks to designers, copywriters, and advertising teams to keep projects moving along. Teams can also seamlessly collaborate and share feedback on marketing campaigns and client projects. 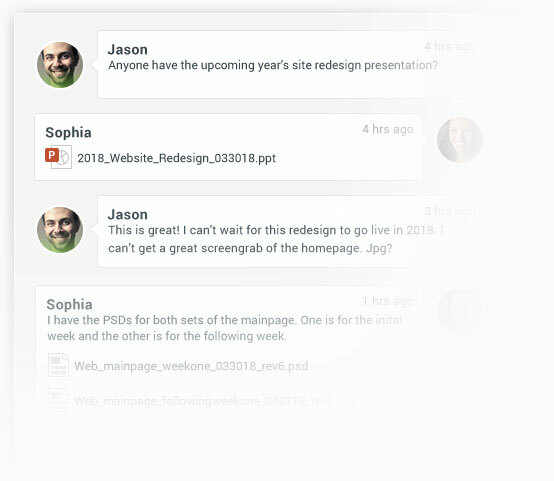 Share project assets and have chat-based discussions with your web designers, production teams, freelancers, and clients, all in real time. 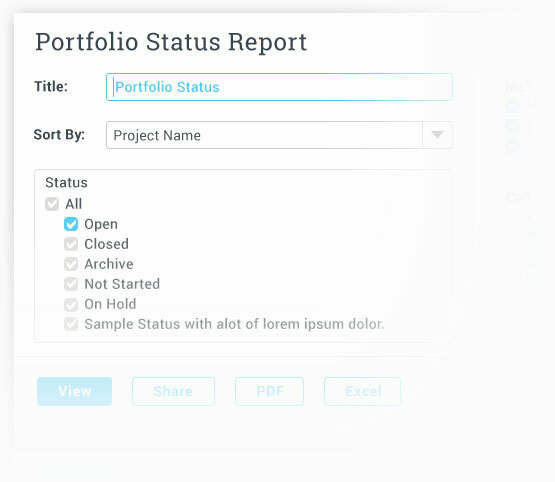 Then with a few clicks, it’s easy generate stunning visual reports to show your clients that their project is coming along on-time and on-budget, just as planned! Get the whole team working together with our software — no complex learning curve and no special training needed. 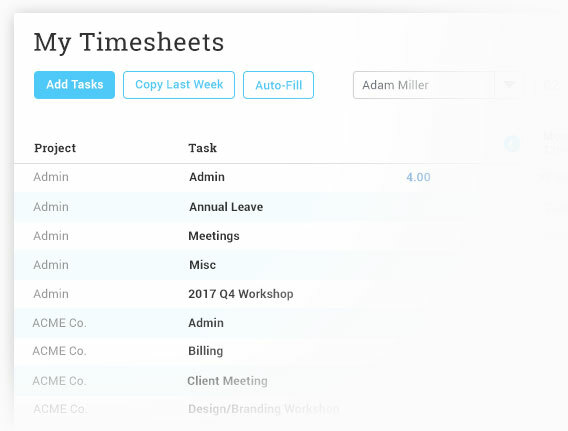 Update tasks, timesheets, and timelines from anywhere, so that your marketing teams are always on track. 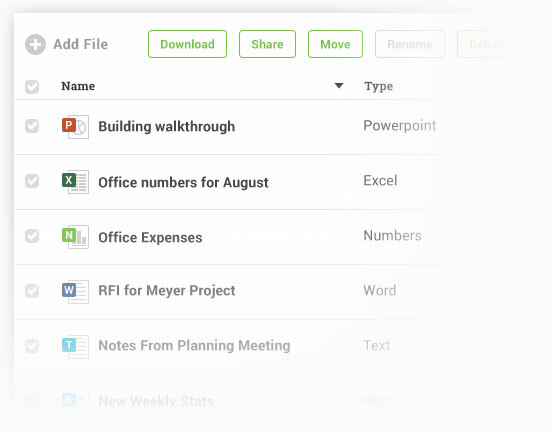 Teams can share, store, and comment on files with no limits! Clients can also be looped in as guests, so they can stay on top of progress. New projects can easily be created from scratch, or if you have similar recurring projects they can be rolled out easily with one-click, using our project templates. 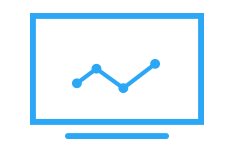 Anyone can easily assign tasks for themselves and for others with just a few clicks! All projects can then be tracked in real time and viewed in the project dashboard. Easily keep the whole marketing department on track with our collaboration tools like team chat, discussion boards, and task comments. 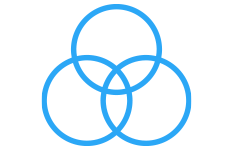 You can easily add new users to your team, as well as loop in clients by using guest accounts. Our API allows you to easily connect ProjectManager.com with your other marketing software & tools. With over 400 integration partners, the possibilities are endless. 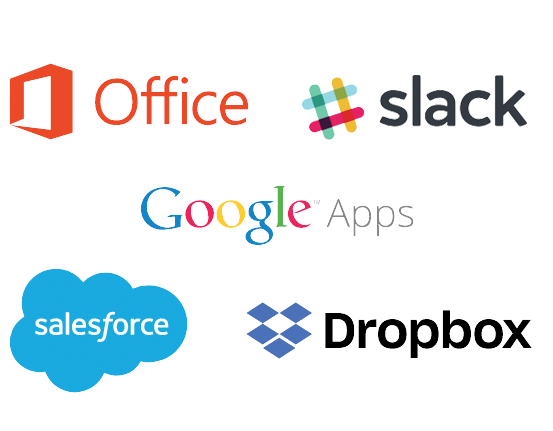 Popular integrations include: Hubspot, Slack, Gmail, Dropbox, QuickBooks, and Google Drive. With unlimited file storage, your teams can store, share, and collaborate on digital assets like page mockups, web design layouts, and ad copy. You can easily attach documents and images to tasks to quickly share with anyone on the project. Your different marketing teams can easily track their hours with timesheets to ensure that resources are being used in the right places. 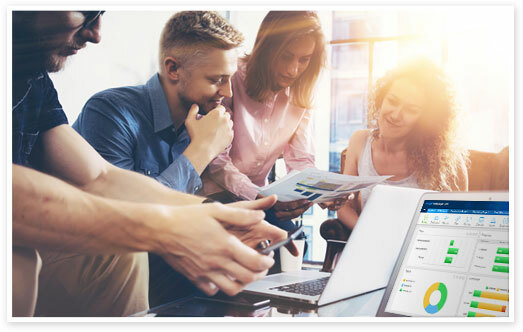 Time tracking and resource tracking rolls up right into the reporting system, so you can quickly generate budgets and monitor resourcing in one place. 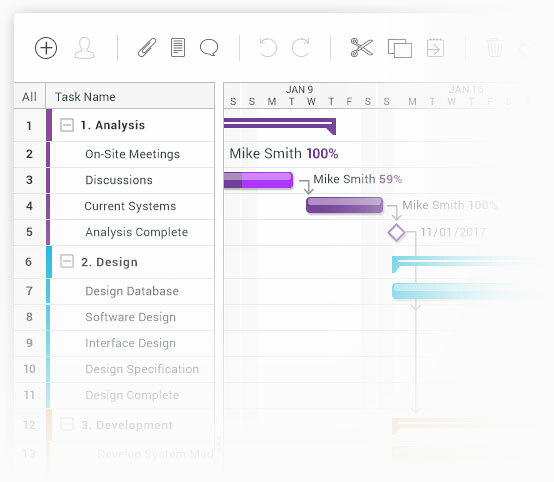 With our software’s reporting features, you’ll always be able to answer: “Are we going to finish this marketing project on time?” Our software automatically pulls project data into the reporting center so you can quickly run reports and identify which projects are on time and which are at risk of falling behind.